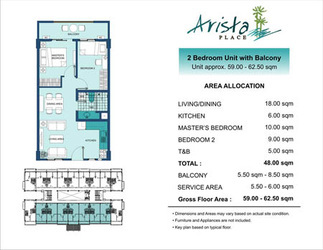 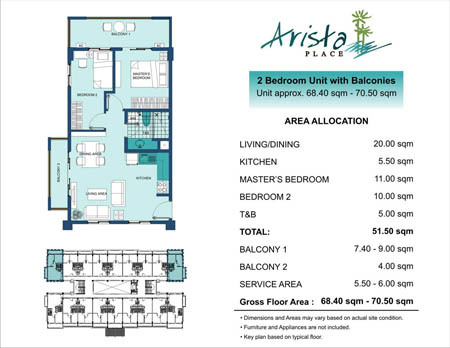 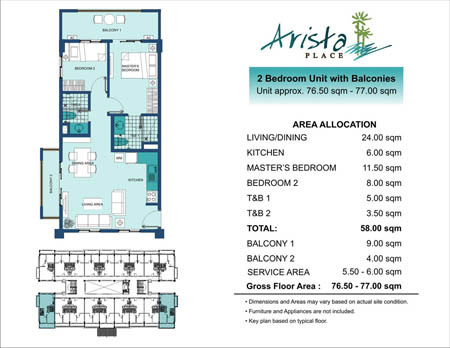 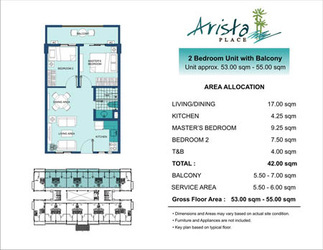 Safe Haven - Arista Place is a gated and secured community development that has an exclusive amenities and facilities for a more relaxed living to encourage residents to interrelate and blend harmoniously with the community. 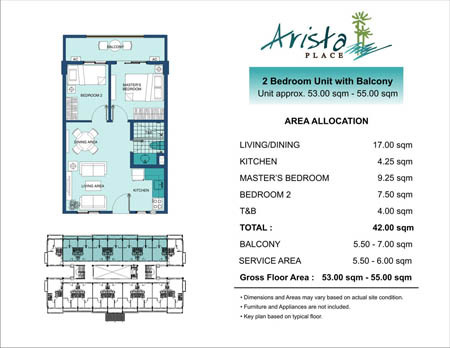 True resort living with complements of lush landscaping - Arista Place presents areas for socials, interactive and passive activities that will enhance the well-being of its residents. 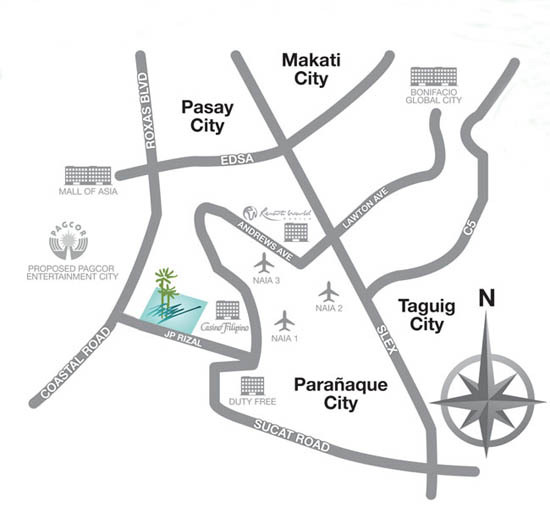 Worry-free travel and real convenienceArista Place is close to NAIA terminals giving efficient time management for frequent travelers; for individuals who frequently go to malls and other places of interest, Mall of Asia Complex, Newport City and the reclamation area development of Aseana Business Park and Asia World City, which will include government projects like PAGCOR Entertainment City and the Bagong Nayong Pilipino.